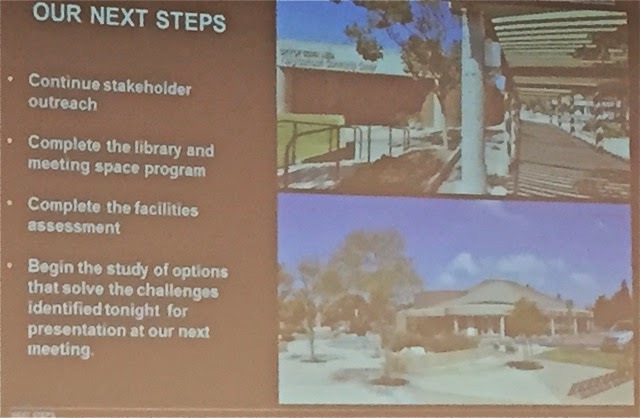 Last night, at the Costa Mesa Neighborhood Community Center (NCC) - a facility that would be sacrificed to a possible new library - four dozen interested parties gathered to hear a presentation by consultants about the process that has begun to assess the possibility of creating more library capacity in our city. Mayor Pro Tem Jim Righeimer and former councilwoman Wendy Leece were among the crowd. We learned a lot. We think his expectations were met, because the group was very engaged and several actively participated. Johnson presented us with a timeline of activities which took us from the first week of February through the middle of May. This meeting is the first of three such events planned. The other two will be in the middle of April and the end of May. Between the first part of February and the middle of March they will be reviewing and assessing existing conditions. Overlapping that segment, from the third week of February through the first week of April they will begin what they called "Library/Community Center Programming". I apologize for not having a photo of his slide. My equipment fell short of my needs last night. From last night's meeting through the end of April they will hold another community outreach meeting and develop options and a cost study of alternatives, which will be presented to the Parks and Recreation Commission at their April meeting. Following that presentation through the third week of May another community meeting will be held and final alternatives will be prepared for recommendation to the City Council. 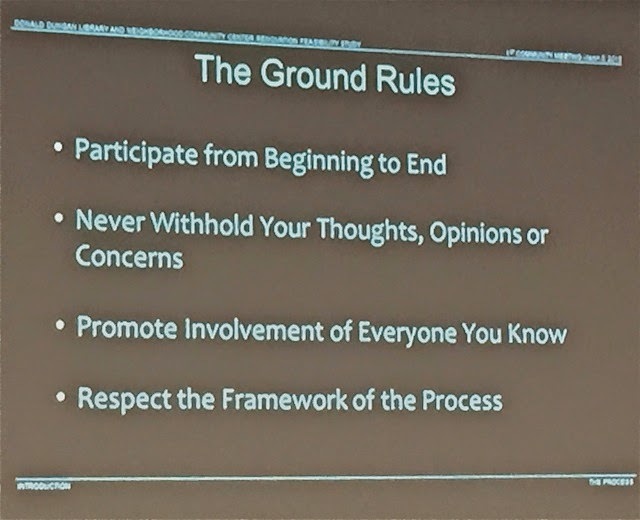 Johnson expressed a hope that we all would continue to participate in the process to the very end, and laid out some Ground Rules for us, as shown on this slide. 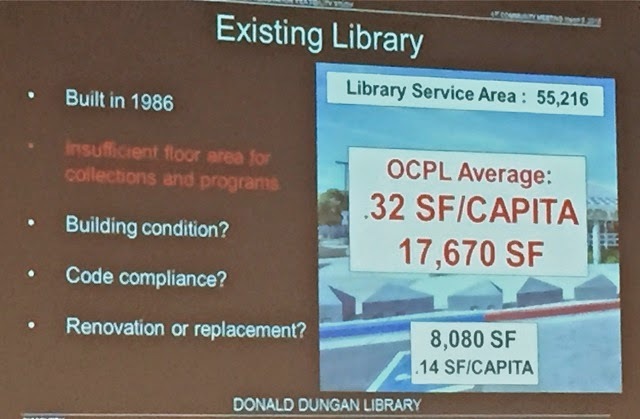 He explained to us that Costa Mesa is divided into basically two library districts, and the current Donald Dungan Branch - at 8,080 square feet - serves 55,216 people (.14 square feet per capita), is at the very low end of the accepted formula for library service, shown on this slide. NOT EVEN HALF WAY THERE! 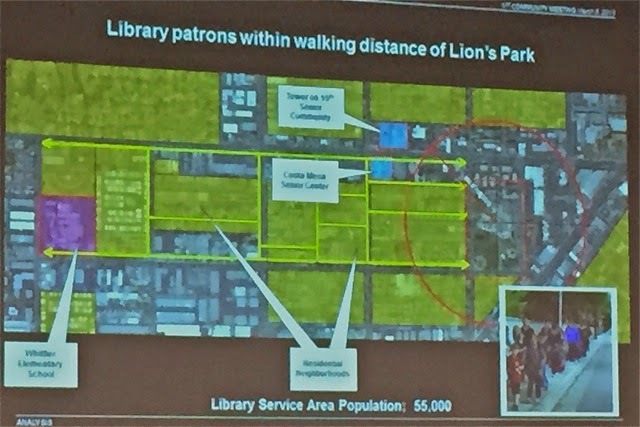 According to the formula used to determine proper library space in a community our size, the library serving this segment AT LEAST 17,670 square feet, for a ratio of .32 square feet per capita. 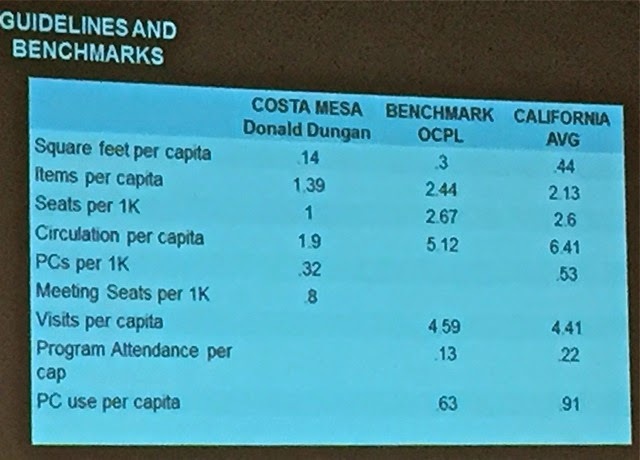 He also provided us with a chart showing Guidelines and Benchmarks comparing the Dungan Library to the Benchmark for the Orange County Public Libraries and the California Average, below. Because there is great concern that by "swapping" buildings - the NCC becomes the library and the Dungan Branch becomes a community center - many valuable meeting spaces would be lost, he provided us with some partial statistics based on an intellectual exercise to demonstrate how the current NCC is underutilized. That premise was challenged and he was told that we needed more solid statistics than just a "pretend" exercise before approving such a massive undertaking. 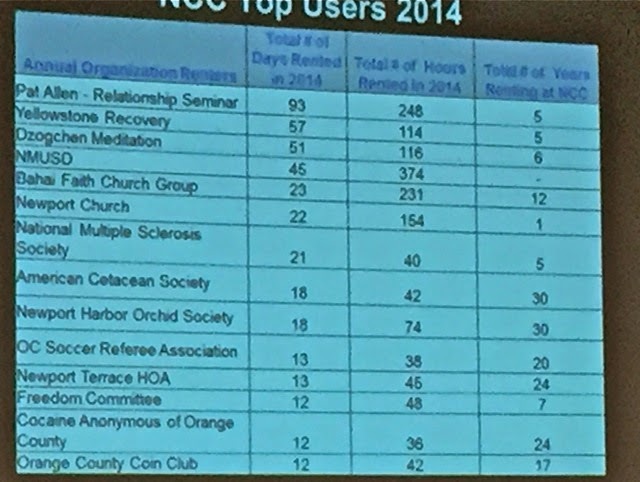 Toward that end he presented a graphic showing the Top Users of the NCC over 2014. 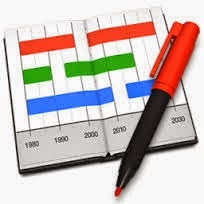 As you scan down that slide some of the information will grab your attention. 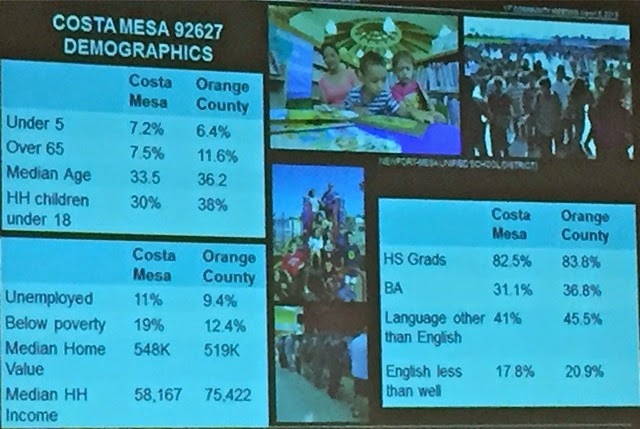 For example, the Newport-Mesa Unified School District is the largest user, by far. And yet, there was nobody from the School District at this meeting. Apparently, there will be separate meetings with select users. They will receive a private audience without the benefit of hearing the views of the community at large. There was no quantification provided of the number of infrequent users, so we don't really have any accurate sense of the real use of the facility. I smiled as I wondered if those private meetings will include the folks at Yellowstone Recovery, a business we are trying to scoot out of town. WHO DOES THIS LIBRARY SERVE? To help us understand more fully the need for more library capacity in this part of town he showed us a slide showing the demographic makeup of this area - zip code 92627. Zip code 92626 is served by the Mesa Verde Branch Library, which, according to folks in the audience, is also in need of improvements. As you can see from the chart, this part of town - most of it the Westside - reflects some troubling numbers. It is a younger area, but one that is not as well off economically. Home prices are higher than the OC average, but Medium income is less, so it takes a greater percentage of income to buy a home. And, there is that proliferation of high-density housing being built within sight of this location... Incidentally, I saw no Latino faces in the crowd last night. That ethnic group makes up a very large segment of the area served by this library. They showed another chart - again I apologize for the poor photograph - that reflects the "walkability" of the area served. According to Johnson, the demographic in this area walks a lot. That red circle is 1/4 mile - an easy walk. The double yellow lines mark an area roughly a mile from the current library. 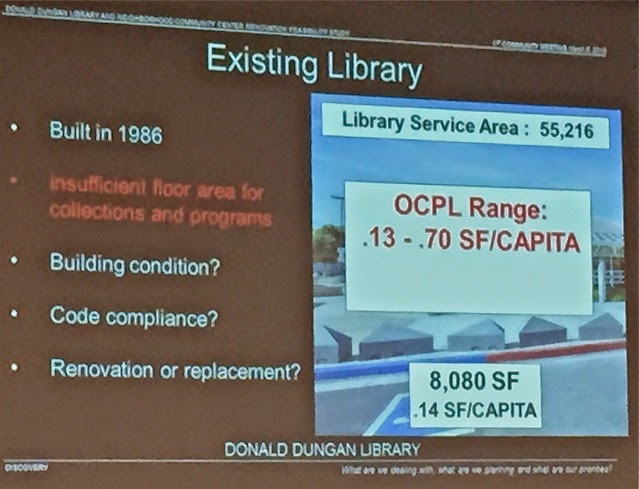 At one point a member of the audience mentioned that Orange County Public Libraries no longer permit general meetings in their facilities - a concern, because this new library would theoretically have meeting rooms to replace some of the current uses in the NCC. Trish Snow of the OCPL stepped up and confirmed that a recent change - October 1, 2014 - in policy restricted use of the libraries to "educational" purposes. She did say that everything was subject to negotiation, but this is an important issue that needs to be resolved before we jump off the fiscal cliff of actually building a new library. 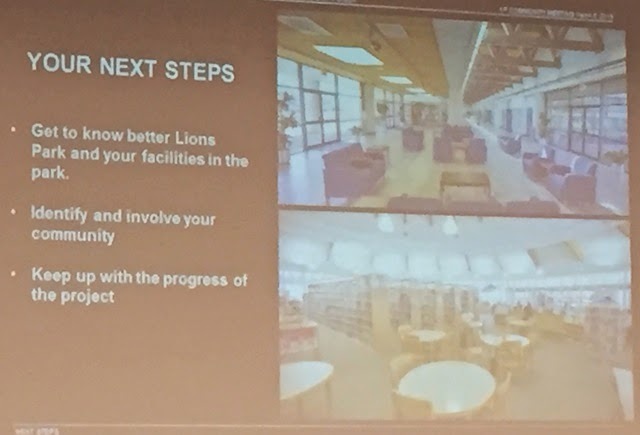 Several times during his presentation Johnson mentioned that whether we build a new library or not right now, we soon will be facing severe issues with the aging facilities. Both buildings are old and, for example, the roof on the NCC must be replaced soon, which means removing the photovoltaic cells from it first, then replacing them. He emphasized that, in very short order, we will have to do something. There was also a discussion of, perhaps, moving the NCC capacity to a more centrally-located site within the city so the existing sites could be better utilized for a library. Mention was made of the very underutilized Civic Center Park, adjacent to the City Hall/Police Headquarters complex on Fair Drive. It has been rejected as a Library site, but it seems like a perfect location for a Community Center, particularly since there is parking at City Hall or across the street at the Orange County Fairgrounds for larger events in the evenings. Many in the audience thought that should be considered. 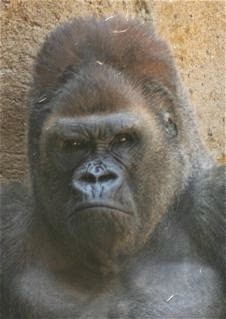 Righeimer squirmed when this was discussed. During that part of the discussion Johnson reminded us that this is just the beginning of the process, with many questions to be answered first. NO decisions have been made yet as to what will be recommended, including swapping building uses on their current sites. He stressed that neither one - the NCC nor Dungan - were really a good fit for the swapped use. Both would require significant renovations or complete replacement, but that was part of the analysis that was underway now. 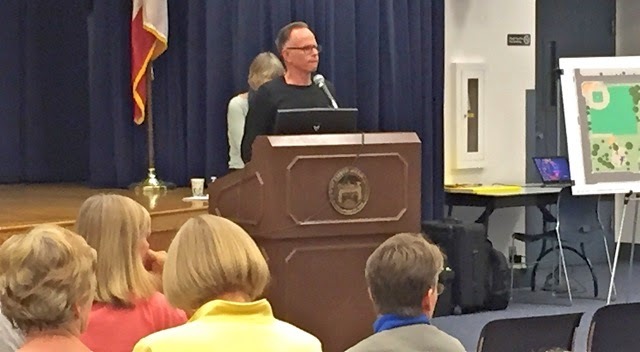 Demmers told us of working with Mission Viejo and proposed a library of more than 50,000 square feet. They chose to build a facility half that size and, in very short order, came back and build another facility of equal size to meet the demand. Members of the audience stressed the need to think further out than today - think out 30 or more years - when planning for new facilities. Members of the audience opined about their personal experiences with the NCC from a facility and cost standpoint. Most shared the view that the facility seemed adequate and cost effective for their uses. Most seemed apprehensive about the adequate replacement at an affordable cost. They did seem willing, however, to let this process play out and see what evolves at the next meeting. Johnson provided us with the next steps, as shown on these next two slides. The first one is the process the consultants will be following over the next couple months. This is what the community is charged with over the same time period. In my view, this meeting was not adequately publicized. There was no member of the media present, unless you count me. If the City is serious about including community input on this very important project, it needs to do a much better job of reaching out to be sure all stakeholders are at least aware of this process so they may participate. The slide show used last night will, in theory, be available on the City web site. When that happens I'll provide you with the link. They will also be updating the information on this process on the site, too. I'll provide you with information about how to find that when it's available. The next meeting will be the middle of April... see you there. I wonder if it would be feasible to tear down both aging buildings and replace them with one building, 2 story, with a large library on the lower level, and meeting rooms and kitchen facility on the upper story. We'd only have to pay for one roof, one building, one set of contracts, and one set of contractors. We'd have a little space left for more parking and we would not have to negotiate any more space in town. Interesting idea. 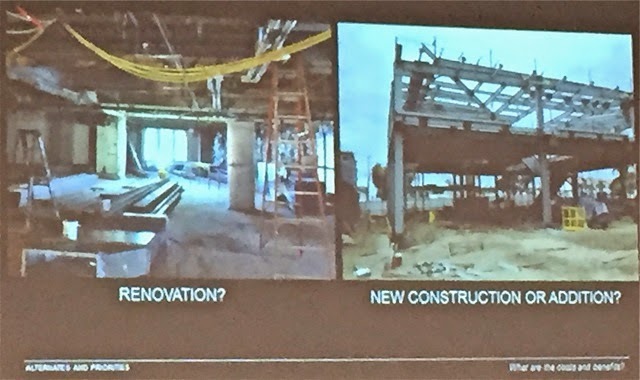 It would seem a better choice to put the Library on the second floor rather than move an existing kitchen up (think of logistics of getting food and supplies delivered upstairs for every occasion). It would be easier to close off the 2nd floor when the library closes, as the NCC is available for after-hours venues. Also, the noise of having a crowd of people parade through a library to get to their meeting space seems silly, as most meeting participants use the common space to take phone calls, chat, etc. (Shhh! Shhhh!) Parking would still be compromised, as the expanded footprint of library space would take more parking. I am still unclear as to why we are considering spending so much money to reduce potential income by reducing the rentable square footage, especially if meeting space is no longer allowed in Libraries. Well built & maintained buildings are long term assets. There are buildings that were built in 300AD that are still in daily use. In the short term, why wouldn't the library rent some of the upstairs space at the Courtyards center across the street, and use the money to fix up the Mesa Verde library? I'll be going to the next meeting. We got a lot of the "aging facility" and "end of its life" and "renovation required" propaganda from somebody with a vested interest in having those conditions obtain... I don't recollect anyone in planning, or on City Council, for that matter, making those observations. Not to say that they are false; it's just that this is the first time I've heard them, and the architect firm makes money off of them. I'm interested in seeing comparable data on use of meeting rooms in other venues. The "thought-experiment" presented to show that the meeting rooms are under-used had numbers pretty close to a solid, non-retired work-week; not quite forty hours per week, but close. Were we that close to full usage, we would not be talking of re-purposing the Community Center, but rather, of building another couple of them alongside it. I'm entirely in favor of building a BIG new library; libraries are the linch-pin of civilization. The loss of the ancient library at Alexandria by burning was, if not the proximal cause, at least a heavy contributing factor to the coming of the dark ages. But we could easily do without the specious reasons for so doing; and it would be fitting to see the costs up-front, even though I'd gladly pay my share of whatever those costs may be. I hope fervently for agreement with this attitude from the vast majority of my fellow citizens. Theresa, I was thinking more of a two story, with two separate entrances, as these are two separate businesses. Either one could be upstairs. Its just a thought. I'd really like to see Fire Station #1 rebuilt first, however. Where's my coffee - what an excellent idea! I have been to the Huntington Beach Library in the park and they have meeting rooms in the same building as the library. Rather than basing the need for more library space on square footage per resident, I would like to see the need based on actual use. The fire station seems more in need of rehab.